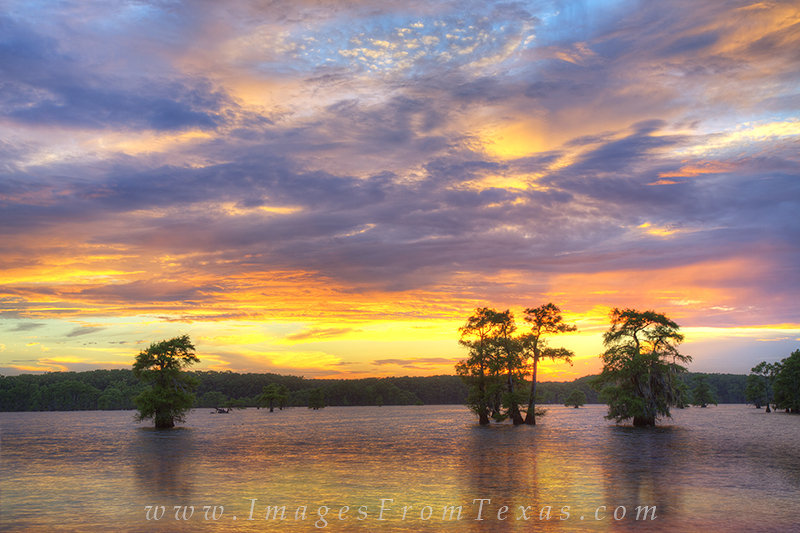 The colors of fading sunlight emblazened the sky over Caddo Lake in a palette of orange and blue and gold. The day had been mostly overcast, but when a few breaks in the clouds appeared just before sunset, a friend and I headed out on the lake and found a place to stabilize a tripod and capture this amazing end of the day. Photo © copyright by Rob Greebon.